Motivate your students to read, write, and complete math activities that use some of their favorite animal characters from the classic story, "The Mitten" by Jan Brett. 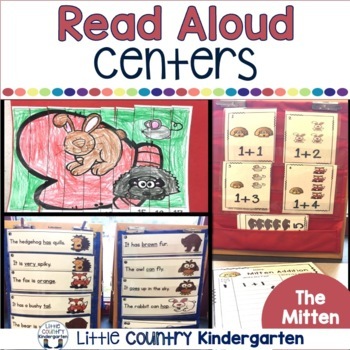 This weekly themed unit is filled with academic centers that revolve around this favorite read aloud. Students can write simple sentences around the room or copy the underlined word in each sentence for a different level of differentiation. Includes five day lesson plan, short text, vocabulary cards, student comprehension text, and written response pages. Includes informational, opinion, and narrative pages. Pages have versions with and without visual cues for students to trace (sentence starters). Shrink before printing to have students glue these into interactive notebooks or writing journals. ★ Tracing Cards for "I see" and "I like" sentences. 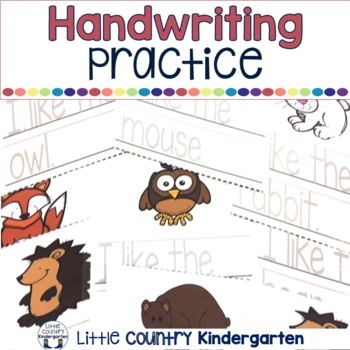 Students can practice correct letter formation, word spacing, and inventive spelling by using either the cards with the full sentence traced out for them or by sounding out the last animal word by themselves. Laminate and have students use dry erase markers to re-use. 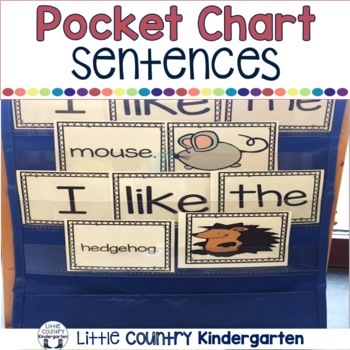 Display cards during focus week in a pocket chart and then put on binder rings for use on an interactive word wall for students to refer to throughout the year. Ex. "I like the fox" You can have them build the sentence using the actual word "fox" or the picture of the "fox". This activity also includes a card with both the picture and word that I put in my pocket chart for a writing center. Students build a scene with pictures and then describe their story through speaking or writing. Students practice completing AB and ABC patterns by completing file folders with and without visual cues to help them. Students use dry erase markers to fill in the missing number and practice counting on and sequencing. Have students color, cut, put the pieces together, and glue to work on following directions, fine motor skills, counting on from a number other than one, teen numbers, and sequencing numbers. Students sort the animals by the shape that surrounds them: circle, square, rectangle, or triangle. This is a simple review of shapes that my students love because they sort the magnetized pictures on cookie trays. Have students practice adding simple equations to 10. Each card has the animals on it as visual cues so they can count the animal pictures to help them solve the problem or use another strategy you have taught them. 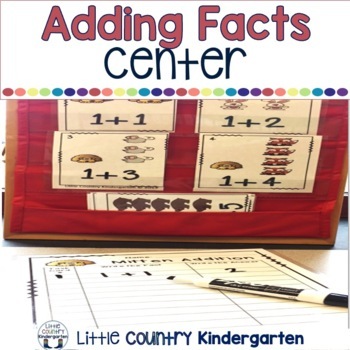 For winter math centers check out this bundle!